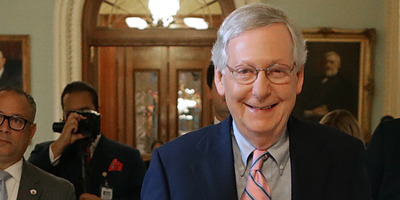 WASHINGTON – Senate Republicans and Democrats reached a deal to confirm a slew of judicial nominations on Thursday, allowing senators up for reelection to return to their home states for the final stretch of the 2018 midterm campaign season. Fresh off the long and tumultuous confirmation of Supreme Court Justice Brett Kavanaugh, Senate Majority Leader Mitch McConnell was prepared to force Democrats’ hands and keep them in Washington for weeks to confirm 15 judges sitting in limbo. But Senate Democrats, many of whom are facing tough reelection battles in conservative-leaning states, did not want to risk being stuck on Capitol Hill while their challengers roamed free. “We expect senators to work, to fight for us and to stand up for what is right – not catch the first flight out of DC so they can advance their personal political standing,” Shaunna Thomas, the executive director of the women’s group UltraViolet, told Politico. The move comes after a long confirmation battle over Kavanaugh, one that had senators at one another’s throats and resulted in such heightened tensions on Capitol Hill that some lawmakers were given additional security detail.